All week from 4pm till late. 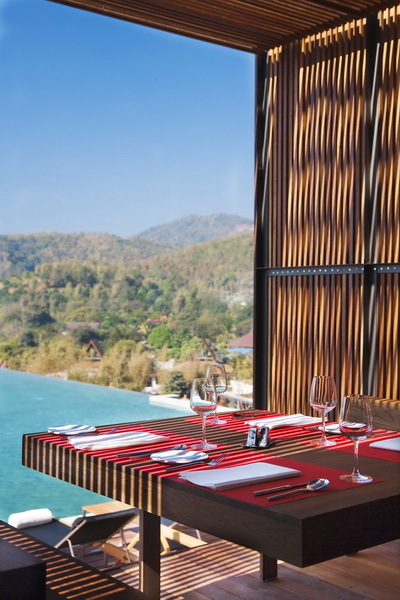 The High Room is the restaurant that set high above of the resort that you can feel the hug of mountain. Indoor air-condition set in modern setting or outdoor al fresco with the view over the infinity edge pool. We offering fine international cuisine with extensive wine from the old and the new world. We went there 2 times. First for Tea time and love for beautiful scenery and plan for lunch next time. This time is our second time for visit The Higher Room for celebrate Dad's day. Both foods and cake are great. The price is not  too expensive because we use Accor Plus member coupon and got a complementary cake. We plan for our dinner soon. The service is really great. Food made from good quality ingredients. Highly Recommend shrimp menu. Drinking is fair. The restaurent is near swimming pool. So, mountain view at sunset is beatiful.